I used to think everyone could be a black belt. And they would make the grade. Over the years I realised that was not true. Many won’t make it as long as they have a hole in their backside. Who don’t want a stronger version of them. Some are just so weak willed they don’t have it in them. Or that ‘the boss’ (their spouse) won’t let them. Not realising that overcoming these problems is what makes a black belt. Some give up when they get a black belt. Not realising that is also a test. It only means that you’ve found the ladder to climb. ‘Snatching defeat from the jaws of victory’ describes them well. A black belt is an investment in a person. Wearing it is another thing. 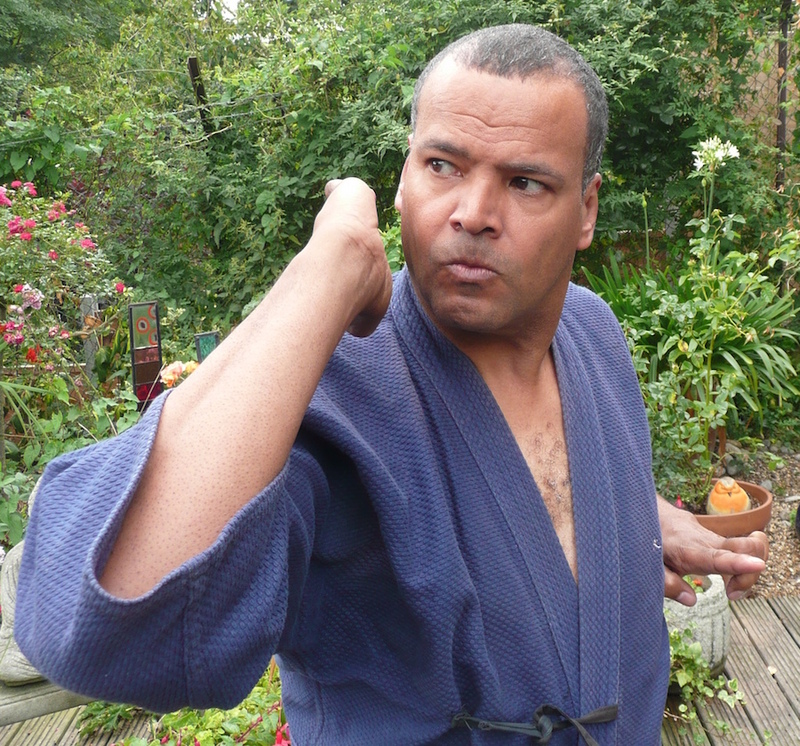 Many martial artists don’t realise they failed at that point. Very true and well said!! From 10-1st kyu you are om a wooden ladder which the rungs can break at anytime (ie you give up you bow to external pressure or you say to yourself it’s to HARD!!!) You only get out of it what your prepared to put into it!! People say to me oh I’m to old! My reply is always that I was 52 when I started and by NOT GIVING UP I have managed to achieve Dan grade level. If you want something enough you will achieve it and look back and say YES I HAVE NOT GIVEN UP!!!!!! Good luck to all who read this and go for it!!! I just kept trying, despite being a mum, a wife, a manager at work and a mature student at university, my son training at rugby twice a week and having matches every Sunday, ill health and uncertainty, fundraising, feeling self-conscious, being the only female at our club for a large part of my journey, injuring both thumbs and a toe, not having a memory like the ‘little sponges’ that children and young people have, feeling so nervous at my gradings that I could throw up any second, going to lesson on a Friday night when others were going for out on the town, getting up early on Saturday mornings to go to lessons again, attending midweek lessons in between, not being able to wear jewellery, having to keep my fingernails short, having to keep my hair tied back, ‘glowing’ while the blokes were sweating, failing before achieving, learning that achieving is not the same as mastering and lastly, having my time of the month. I am 49 and have the delights that come with the menopause to look forward to, but I am still trying!!!! To true. Sadly I ultimately failed the second stage. Many people can GET a black belt. Not many can BE a Black Belt. A true Black Belt can never stop being a Black Belt. Master Armstrong sent me this email and I have to say it was encouraging to read. I’m a 56 year old female Who has been taking taekwondo off and on since I was 52, I took two years off to work on my associates degree and got diagnosed with Diabetes. I started complaining that I didn’t think I was ever going to become a black belt, that I couldn’t do half the things the younger ones in class were doing, but also having a feeling that it was something I wanted to complete even if it’s twice as long. I hurt more now, I break fingers and toes and I keep asking myself maybe I should just stop. But with comments like the ones I have just read, encouragement from master Armstrong and most of all the encouragement that I receive from the younger students keeps me going. While I was in school several of the students would say when you coming back Ms. Sheena. So each class I attend I try my best and hopefully one day I will become a 2nd° black belt.